If you are in any doubt about the influence that the person leading a college has on its performance, look no further than a 2017 research paper by Jenifer Ruiz-Valenzuela, Camille Terrier and Clementine Van Effenterre (see references, page 53). 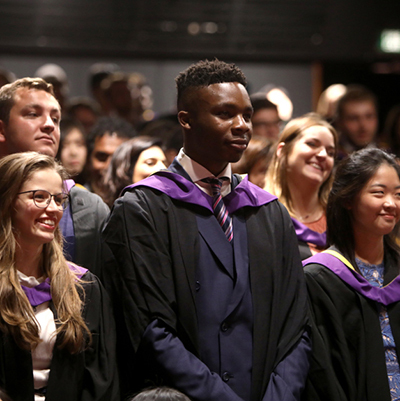 The academics from the Centre for Vocational Education Research at the London School of Economics set out to quantify the importance of college principals. Effectiveness of CEOs in the Public Sector: Evidence from Further Education Institutions, Jenifer Ruiz-Valenzuela, Camille Terrier and Clementine Van Effenterre. December 2017, Paper No CVERBRF005. Evidence on how the positive economic effects of universities on individuals and the economy can be maximised - by Ghazala Azmat, Richard Murphy, Anna Valero and Gill Wyness. Dr Major was told about abuses while researching his book Social Mobility And Its Enemies, with Professor Stephen Machin, director of the Centre for Economic Performance. They talked to parents and teachers in North London and discovered a ‘battleground’ over admissions. 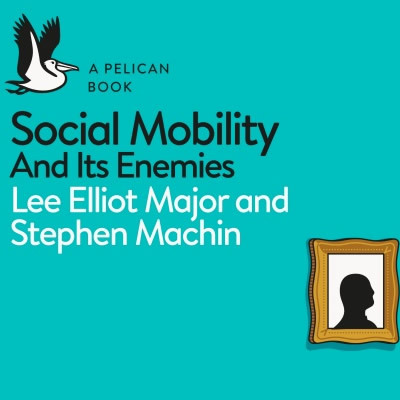 Social Mobility: And Its Enemies, Lee Elliot Major & Stephen Machin. Paperback, ISBN 9780241317020, Penguin Books Ltd. 27 September 2018. "Britain is stuck. Too many of us are destined to end up in the same positions occupied by our parents – particularly if we sit on the lowest or highest rungs of life’s economic ladder. Generations growing up today face a bleak future: falling real wages, shrinking opportunities and greater income divides. 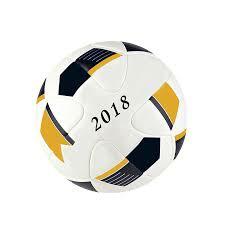 The dream of just doing better, let alone climbing the social ladder, is dying." Men are more likely to earn more after starting an apprenticeship than women, new research by the Centre for Vocational Education Research (CVER) shows. The research, published by academics at the London School of Economics’ CVER, considered earnings data for around 565,000 students who left compulsory education in 2002-03, as well as the Labour Force Survey. Authors Chiara Cavaglia, Guglielmo Ventura and Sandra McNally concluded that while most people do indeed gain from doing an apprenticeship, the extent of this gain varies significantly and depends very much on age and gender. Those with most to gain tend to be male, as well as those who start their apprenticeship at a younger age. In the final episode of the current series of Policy Matters, hosts Franz Buscha and Matt Dickson talk to Sandra McNally, Professor of Economics at the University of Surrey and Director of the Centre for Vocational Education Research. We should also worry about our rather odd exam system. To have high stakes national exams at the age of 16 — GCSEs — is relatively unusual by international standards. It is easy to understand their history: most young people used to leave school at 16, and some measure of attainment at that point made sense. Few now leave at 16. All are supposed to be in some form of education until they are 18. GCSEs have become just one more sorting mechanism. And as some recent work by economists at the London School of Economics has demonstrated, they sort in a way that can be really quite damaging. Using data on the precise marks that students got at GCSE English, the researchers were able to look at the impact of just getting a C grade as opposed to just missing a C grade — literally the impact of getting a single additional mark. The results are disturbing. Missing a C grade in English language by a tiny fraction decreases the probability of enrolling in a higher-level qualification by at least 9 percentage points, with a similar effect on the probability of getting A levels or equivalent by the age of 19. This in turn affects the chances of getting into university and of getting a job with decent progression prospects, and so on. All for the want of a single mark in a single exam aged 16. Parents seeking a school cellphone ban for grades five through eight also spoke in Open Forum. “I’m here representing 612 families … asking for reforms to the district’s middle school phone policy,” said Elaine Trull, the mother of two students at Bridge Point Elementary School. “The mere presence of a smartphone in class harms academic performance.” As evidence of this, she cited research from the University of Texas and London School of Economics. Academics in the Surrey Business School at the University of Surrey have received a research grant from the Department of Health and Social Care to study causes of the gender pay gap in the medical profession. The aims of the project are to identify the causes of the gender pay gap in medicine through the interrogation of datasets, along with the development of qualitative evidence identifying the impact of cultural, practical and psychological issues contributing to the gender pay gap in medicine. The team is led by Professor Woodhams and she is joined by Dr Mark Williams, Senior Lecturer in HRM and Employment Relations, Dr Ioannis Laliotis, Research Fellow, and Dr Jo Blanden, Reader in Economics and Research Director of the School of Economics. The team will be working in close collaboration with Dr Duncan Brown of The Institute of Employment Studies, Professor Carol Atkinson of Manchester Metropolitan University and Sheila Wild at EqualPayPortal. In the 'Year of Engineering', engineering skills are taking centre stage and the Skills Commission inquiry, which is co-chaired by Lucy Allan MP, Preet Gill MP and Professor Sandra McNally, is taking evidence as to why women are so badly under-represented within engineering courses, and whether upcoming skills system reforms will encourage more women to go into the profession. Annabelle Allouch: "This is the moment when individual value can be recognized"
Examination is therefore a democratic tool of social climbing? Examination is the tool that makes it possible to establish the symbolic value of the graduate from the certification of his apprenticeships. This is the first act of recognition of a qualification on the labor market. But we can question the idea of ascension. A study conducted by economists Eric Maurin and Sandra McNally on the students of May 68 shows it well. The disorganization of the baccalaureate and university exams, often "lightened", ended that year with higher success rates than in previous years. However, the students finally reached social positions that they would not have been able to claim if they had undergone the obstacle of the exam (see also page 4). Social justice is not guaranteed by the examination, it should instead be interested in alternative methods of recognition of knowledge. In 2005, the economist Eric Maurin published with his British counterpart Sandra McNally a disconcerting study on the effects of the "light" tank of 1968 (1). Entitled Vive la Révolution! and subtitled "The long-term benefits of May 1968", this work was intended to respond to the accepted notion that, by accepting that the examination be reduced to an oral spent on a day and noted on the spot in the wake, the institution had issued that year a diploma worth nothing. Engineering is an area that’s historically been dominated by men. Sandra McNally is leading an inquiry into how to massively widen women’s participation in this vital area of the economy, and is asking for written submissions by May 21. A little over a decade ago, a new government in the United Kingdom issued a report recommending that early reading instruction include phonics. What has been the impact of that change in approach to teaching reading? Martina Viarengo, the author of a study on this topic, joins Paul Peterson to discuss her research. The study, “‘Teaching to Teach’ Literacy,” was co-written with Stephen J. Machin and Sandra McNally. We grew up thinking that the school grades reflect our learning. But, a few weeks ago the high school Manuel de Salas made the decision to eradicate them in first and second basic. Something revolutionary in Chile, but not in the world. How do you live in England with an educational model in which there are no grades? Olmo Silva interviewed [00:10:13 minutesin]. Scholars from the London School of Economics and Political Science found cellphone bans in classrooms had a neutral effect on high achievers, but had a positive impact on low-achieving students. Pupils who narrowly fail to achieve a grade C in their GCSE English exam pay a high price, according to new research. A study from the Centre for Vocational Education Research explored what happened to young people who took the exam in 2013. Entry Through the Narrow Door: The Costs of Just Failing High Stakes Exams, was led by Stephen Machin, Sandra McNally and Jenifer Ruiz-Valenzuela. It used data to show that pupils of the same ability had significantly different educational trajectories depending on whether or not they just passed or failed. Smartphone disruption is an issue in schools too. A study by the University of Texas has suggested that just having a smartphone within eyeshot can reduce productivity, slow down response speed and reduce grades, as the eyes of the students keep being drawn away from their work. A second, related study by the London School of Economics has found that students who did not use their smartphones on school grounds saw an increase of 6.4% in test scores. If teachers and pupils weren’t under enough pressure in the run-up to GCSEs, new research has quantified the potentially life-changing impact missing a grade can have on a young person. According to a study by the Centre for Vocational Education Research, narrowly failing to achieve a grade C in English language decreases the probability of enrolling on a higher-level qualification by at least 9 percentage points by age 19. Pupils who narrowly fail their English GCSE exams pay a high price, according to a new study by the Centre for Vocational Education Research at the London School of Economics. Researchers at the centre, which is funded by the Department for Education, tracked the progress of more than 49,000 pupils who took their English GCSE in 2013 and got a grade C or D. They looked at how the group fared over the next three years. Those who narrowly missed out on a pass by up to 10 points were more likely to end up dropping out of education and, therefore, at increased risk of poorer prospects in the long term, according to the report. Article by Stephen Machin, Sandra McNally and Jenifer Ruiz-Valenzuela. 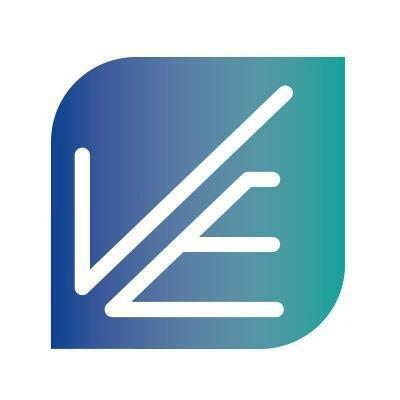 New research by the Centre for Vocational Education Research (CVER) [CVER Discussion Paper 014] analyses the benefits (or costs) for students who just pass (or fail) to meet a key threshold in these exams. More specifically, evidence is presented on the importance of just obtaining a grade C in GCSE English Language (which is the form of English exam undertaken by 72% of students in the cohort under study). Nudge-u-cation: Can behavioural science boost education and social mobility? Pro Bono Economics' Annual Lecture featuring Dr David Halpern, Professor Sandra McNally and Chris Brown. Over the last decade, governments across the world have begun to revise policy on the basis of more realistic and empirical models of human behaviour. This has led to improvements in employment, public health, tax collection, savings, energy conservation, giving, and reoffending outcomes. Often these improvements have been achieved at dramatically lower cost than through conventional policy levers. Behavioural approaches have also helped encourage the much wider use of experimental methods – notably the randomised control trial – in routine policymaking. In the UK, this empiricism has found expression in the ‘What Works’ movement and network, including the creation of independent What Works centres covering education, crime, early intervention, local economic growth, well-being, better ageing and, most recently, youth social work. This talk will explore the breadth, depth and potential of this movement. It will dig into the area of education and social mobility as an example of the power and cutting edge of this approach, as well as rehearsing some of the key barriers that remain to its even greater impact. We are delighted to feature David Halpern, CEO of the Behavioural Insights Team as well as prominent figures from the education sphere to discuss the rise of behavioural and experimental techniques in education policy. Numbers bear out this pessimism. As economist Raj Chetty explained in a 2016 lecture at the London School of Economics, the probability of a child born to parents in the bottom fifth of the incomes reaching the top fifth is 7.5% in America. In the UK, this number is 9%, according to research by economists Jo Blanden and Stephen Machin. Research finds that there's a strong case for providing apprenticeship to young people, write Chiara Cavaglia, Sandra McNally and Guglielmo Ventura. Is there an earnings differential for starting an apprenticeship over and above the pay of young people who have already had a full-time school or college-based education? Our research looks at people who finished their GCSE exams in 2003 and who were therefore 28 years of age in 2015. We use administrative data to follow them from 2003 through their education and into the labour market. New research reports from the Centre for Economic Performance (CEP) at the London School of Economics are highlighted in the Spring 2018 CentrePiece magazine. Among the findings: APPRENTICESHIPS: High potential payoffs but variation by subject specialism; BREXIT: Leave vote benefited from feelings of social and economic exclusion ; HOUSING: Planning policy creates more empty homes and longer commutes; FAMILY FIRMS: The weak management practices of second-generation bosses; PRE-SCHOOL: Free entitlement to early education has failed to deliver benefits; ITALIAN PRODUCTIVITY: Long-lasting stagnation in Europe’s ‘sleeping beauty’; LOCAL LABOUR MARKETS: Tools for analysing effects of place-based policies; LOST EINSTEINS: American evidence on who grows up to be an inventor. Researchers at University of Texas last year claimed that smartphones could negatively affect attention span by just being in someone’s line of sight. Another study, conducted by the London School of Economics, found that students who did not use their phones at school found their grades improved by 6.5 per cent. MOBILE phones in schools should be banned because they pose a much graver risk to children's education than previously considered, the author of a flagship report on their use says. Increasing phone ownership is causing unprecedented classroom distractions, academic Richard Murphy said. An outright ban on their use in schools is needed more than ever, said Murphy, a professor at the University of Texas at Austin. Murphy previously co-authored a study that claimed banning phones from schools gives pupils an extra week's education during an academic year. Scene of the meeting, the London School of Economics, in the center of the British capital, in the third session of a cycle of debates centered on the relationship between Catalonia and Spain. In London, not in Barcelona or in Madrid, as if sitting in the same table, the economics consultant Andreu Mas-Colell and prominent economists, colleagues Jordi Galí, Ángel de la Fuente, Ramon Marimon and Antonio Cabrales in one of the Two cities of the State were impossible. Almost a metaphor for the lack of dialogue not between the five academics present at the event, but between the leading Spanish class and the one that led the Process in Catalonia. The London School of Economics hosts a new debate of the series that is celebrating, in collaboration with Politikon, about the future of Spain and Catalonia. On this occasion, with the moderation of Jenifer Ruiz-Valenzuela, of the LSE, Antonio Cabrales, Ángel de la Fuente, Jordi Galí, Ramon Marimon and Andreu Mas-Colell talk about the economic dimension of the Catalan crisis. Other studies have come to similar conclusions. In 2015 researchers at the London School of Economics studied results at 91 secondary schools in London, Birmingham, Manchester and Leicester that banned mobile phones. They found a rise in results in schools where the ban was tightly enforced, but none where it was flouted. Moreover, when we consider these findings in light of research published last July by Centre for Cities and the Centre for Economic Performance, which suggested that Aberdeen’s economy would be hit harder than that of any other city by either a ‘hard’ or ‘soft’ Brexit, it all adds up to a worrying picture for Aberdeen. Findings suggest that a mother’s personality has a big impact on the academic performance of teenagers, regardless of other factors. Academics assessed women’s “internal locus of control”, how much they believed that they controlled their own lives rather than having good or bad luck. Babies born to mothers with a strong belief in their own power did better in GCSEs, even when the family background, mother’s education and her IQ and the locus of control of the child were taken into account. The findings by the Centre for Economic Performance, at the London School of Economics, are published in The Economic Journal. The study analysed data from the Children of the 90s project, which tracks the lives of more than 10,000 people born in Bristol. With technology such as mobile phones in some classrooms increasing distractions, the ability to improve self-control and delayed gratification has become a particularly important skill. Perhaps it’s not surprising that recent research by the London School of Economics found that banning mobiles phones in schools can help improve students’ test scores. A recent British study by the Centre for Economic Performance compared student results across schools based on cellphone-use policies and concluded, "Schools that restrict access to mobile phones subsequently experience an improvement in text scores." Students scored almost seven percent higher following strict phone bans at school, according to a 2015 study published by the Center for Economic Performance at the London School of Economics. The first criticism of Ms Greening was that she was insufficiently radical in pursuing structural reform — more academies, free schools and grammar schools. Research by the LSE, the Education Policy Institute (EPI) and others has demonstrated that the early academies set up in the Blair era were notably successful in raising attainment in some of the most challenging and disadvantaged schools in the country. But analysis of recent reforms tends to support the cautious Greening approach. LSE research finds little or no significant attainment effects from the more recent academies programme, while an EPI study indicates that claims about the impacts of the free schools programme are exaggerated. Guildford: University of Surrey, of United Kingdom has issued the following news release: Researchers from the University of Surrey, Dr Jo Blanden and Professor Sandra McNally, and University College London, Dr Kirstine Hansen, have completed a comprehensive five-year study on ECEC, funded by the Nuffield Foundation. Using administrative data on all children in preschools and the first years of schooling they found that the policy, introduced by the Labour government in 1998, has had little impact on the educational outcomes of children who have participated. A 2016 analysis by Stephen Machin and his colleagues at the London School of Economics found that the new phonics mandates were associated with only modest improvements in reading scores by the age of 5, and that those gains disappeared entirely by age 11. If Damian Hinds really wants to make a difference in schools he should instead invest money into the one activity that has been consistently proven to boost reading achievement: putting more books into the school library. Authors of a comprehensive study on Early Childhood Education and Care (ECEC) funded by the Nuffield Foundation have called on the Secretary of State for Education to focus on improving the quality of the free entitlement to part time nursery care for 3-year-olds.